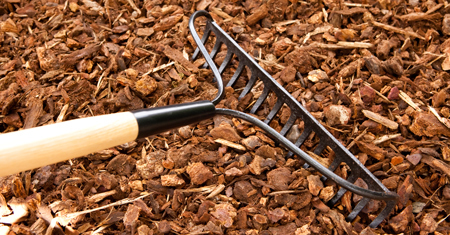 Installing mulch a minimum of 3 inches and a maximum of 4 inches will deter weed growth. Over time, mulch may begin to fade. 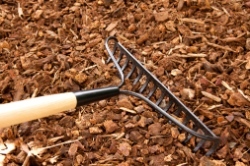 You can rake your mulch to refresh the color and/or install a top coat of 1-2 inches per year to restore the original color. Properly installed mulch will last 1-3 years. You may need to reduce irrigation levels when switching to mulch from pine straw or when installing mulch in wet soil conditions. Mulch conserves water better than stone or pine straw, reducing your water consumption up to fifty percent. Proper aeration and pruning are also essential to maintain proper soil moisture. Overly wet soil may result in the growth of unattractive fungus in your landscape. Always, maintain proper soil moisture and never over irrigate. Landscape fabric will further eliminate weed growth and slow the decomposition of your mulch. 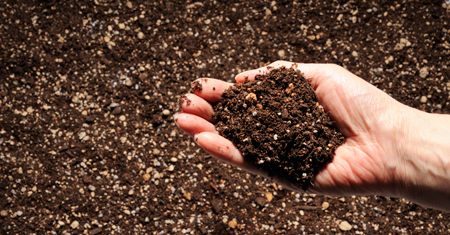 Some gardeners choose not to use fabric because as the mulch decomposes, it adds beneficial organic matter to the soil. For best results, be sure to remove all existing weeds and prepare your soil before you install your mulch. Do not install if rain is in the forecast. 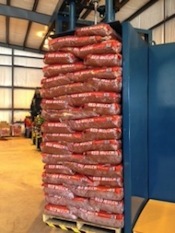 Color-enhanced mulches never completely dry in the stock piles at our manufacturing plants and retail center. 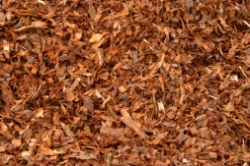 The colorant takes a minimum of 24 hours to cure to the mulch once spread. Do not irrigate for 24 hours. Irrigate BEFORE you install mulch. The mulch will retain moisture in the soil once the mulch is spread. If proper installation instructions are followed, the color of Seaside’s color-enhanced mulches will last for over a year. Our premium colorants are non-toxic and safe for people and animals. They also contain no VOCs, making them safe for your plants, soil, and the air. • Amends soil by increasing organic matter content, creating a healthier growing medium for your plants. • Helps modify and stabilize your soil’s pH. • Provides a slow release nutrient source for your plants, without the harmful side effects associated with chemical fertilizers. • Improves your soil’s ability to retain water, greatly reducing the need for irrigation. • Provides natural disease suppression by encouraging strong root growth. 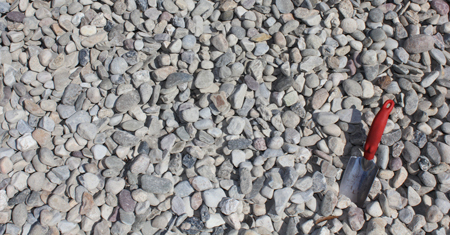 • Provides erosion control by establishing strong root growth for plants in sloped areas. • Helps filter pollutants out of storm water, allowing for a more natural, healthier environment. Seaside Mulch operates a full scale compost facility permitted by the state of North Carolina (permit #YWN-65-008) at our 201 N. Green Meadows Drive location in Wilmington, NC. This facility recycles local vegetative materials which are used to produce our NuLeaf® organic compost. Seaside Mulch’s NuLeaf® Organic Compost is certified by the U.S. Compost Council’s Seal of Testing Assurance (STA) program and is listed by OMRI to be used in certified organic production or food processing and handling according to the USDA Organic Program Rule.